* Contact agent Brendan Barber 0434 554 355 for an inspection today! 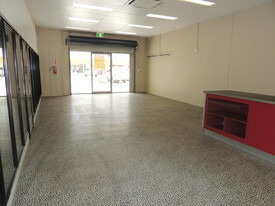 Office portioning, ducted air-conditioning, office fit out and in vacant possession. Located approximately 38 kilometres south east of the Brisbane CBD and 45 kms north of the Gold Coast, the Yatala enterprise area boasts one of the largest land banks of serviced industrial land in south east Queensland. Split by the Pacific Motorway, the area has excellent access on and off the motorway. This provides an integral link to the Logan Motorway only 2kms to the north of the Yatala enterprise area. A large mix of users call the area home including Aldi stores, Ritchie Bros, CUB, and Stratco.